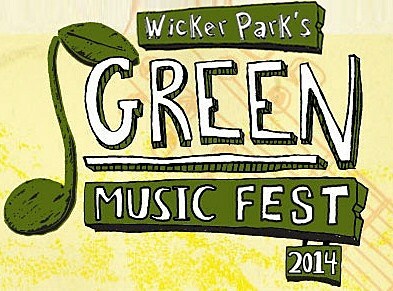 Wicker Park’s Green Music Festival is slated to take place from June 21-22 this year on Damen Ave b/w North & Schiller. The eco-friendly fest’s initial lineup features Guided By Voices, Cheap Girls, Meat Wave, Geronimo!, The Features, The Soil & The Sun, Viet Cong, Chicago Farmer, and Charlie Parr. More performers will be announced soon and the lineup will be split among the two days. The festival will also have a bike-powered stage, with eight-stationary bikes. Admission is a suggested donation of $5 per day.